Welcome to Ramallah Friends School. RFS is a unique school with an extraordinary history, tradition and set of opportunities for all who come here, whether students, staff or parents. RFS focuses on the students, is committed to quality in teaching and learning programs, and is dedicated to continuous improvement in policies and procedures and systems which empower and enable people. Friends work began in 1869 with a number of small schools for girls in the villages surrounding Ramallah. In October 1889, Friends Girls School opened as "The Girls Training Home of Ramallah". In 1901 a school for boys was opened. In 1990, the campus of the Girls School became co-educational Elementary School and Kindergarten and the campus of the Boys School became a co-educational High School as it is today. RFS is unique in its setting in Palestine. Its two beautiful campuses give students a unique set of learning opportunities. Over the years it has grown and evolved into a world-class International Baccalaureate (IB) School. RFS is a school with a clear commitment to internationalism. Being a Friends school means that RFS has a defined special character. Friends' values and Christian teachings permeate and guide the way we do things. The Quaker values of peace, justice, integrity, acceptance of others shape the kind and quality of education RFS offers. We teach about and abide by these principles. It's what we do - and we believe that it promotes dignity and self respect. We are an inclusive school. We welcome diversity and we welcome students and staff from all cultures and religions to our community. RFS has always been an academic school. Our graduates have been admitted to prestigious quality universities in North America and around the world. 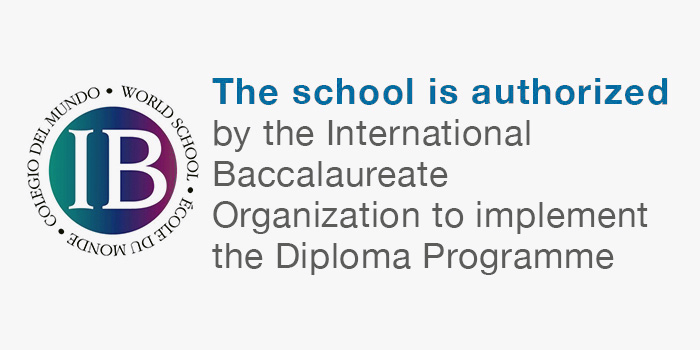 As the first IB world school in Palestine in 1999, RFS has an outstanding and enviable international track of record of International Baccalaureate Diploma and certificate results. Our students leave RFS committed, accomplished, and confident to achieve beyond graduate and postgraduate arenas. The RFS global network of alumni is evidence of this. RFS is more than just a school. Our students and teachers live under the duress of military occupation and so our role is one that continuously builds hope and restores dignity to a community that continues to endure the impact of an unrelenting injustice. At RFS, our aim is not only to educate, but to provide students with a safe and supportive community - a home away from home. Our Quaker traditions coupled with the IB philosophy make RFS an ideal place for parents who are seeking a truly transformative experience for their children. At RFS our students will leave our grounds inquirers, risk-takers, good communicators and principled, reflective and knowledgeable individuals. RFS is unique in many ways. It begins when you come into a school and you see the children are happy. The school is busy and you see a lot of activity in the classrooms and out in the playground, where there is a lot of involvement of the community in classroom events and in sports and activities. The learning is dynamic, exciting and expectations are high. We celebrate our students. Above all you will see RFS students that are excited, confident, involved and wanting to learn. That is our school.